Falls Park on the Reedy River, Greenville, South Carolina. 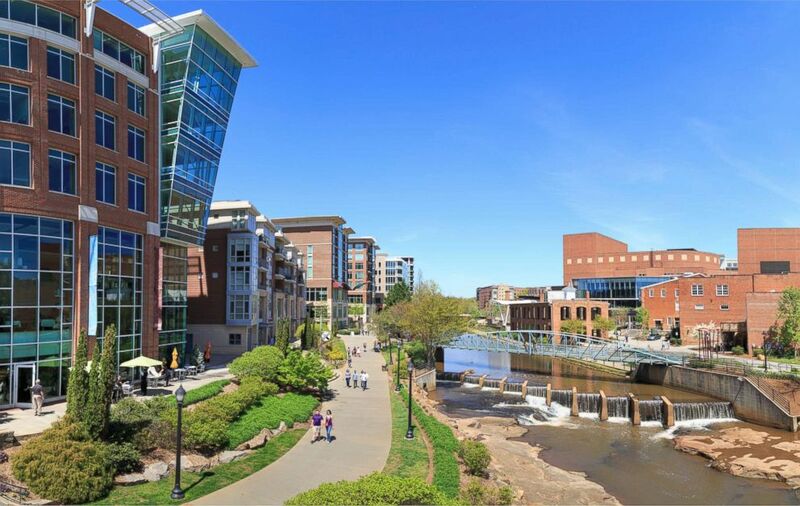 Main Street may be the epicenter of the Greenville, South Carolina experience, with its quaintness and its plethora of world-class traveler attractions. But what makes this South Carolina gem so special is most easily found in its people, who have succeeded in building one of the most desirable places in the country to live and work, not to mention visit. Historic charm combines with a youthful vibe that has quickly driven Greenville on the top of many a vacationer’s to-visit list. Planning your first trip? Here are a few ideas. The bronze mice scattered along Main Street have become a veritable institution -- and hunting for them a favorite visitor pastime. What began as a local high schooler’s senior project, inspired by the famous kids’ book “Goodnight Moon,” the nine rodent replicas were created by Greenville sculptor Zan Wells. Kids and their parents find them by following clues: ”Mitch gets ready to run into a ‘money garden’ to have some fun. (Think Wells Fargo inner garden).” Map out your search between the Hyatt Regency and the Westin Poinsett. Falls Park on the Reedy, Greenville, South Carolina. One thing not to pack when you travel to Greenville: your diet. Good eating here is renowned, and some of the best grub comes with a view. Located on the eighth floor of the Embassy Suites, UP on the Roof offers sprawling views to accompany locally sourced bistro food and handcrafted cocktails; the Sunday brunch comes with bottomless mimosas. The second floor outpost at the Carolina Ale House features tasty bar bites with a side of vistas. And at SIP, take in the rooftop panorama while enjoying a bevy of shareable plates and an extensive list of premium whiskeys. Though not roof top, prime locations make alfresco dining at Nose Dive, Roost, The Lazy Goat and Passerelle Bistro a no-brainer, too. Greenville may be one of the most food truck-friendly small cities in the country; on any day of the week, dozens of eateries-on-wheels are rolling through town, pleasing palates. Grab a gourmet burger from The Chuck Truck, unique hot dogs from The Groovy Dawg, smoked meat dishes like rosemary-smoked chicken from Wholly Smoke, authentic Mexican fare from Automatic Taco or classic Greek from Ellada Kouzina. When it’s time for dessert, frozen yogurt from Sweetly Twisted or any of the 45-plus pound cakes from The Pound Cake Man will fit the bill. Track the roving stops of must trucks on their Twitter, Instagram or Facebook pages. There’s a twinge of nostalgia with Greenville’s fleet of downtown trolleys. The vintage red-and-blue vehicles are open-air and feature wooden benches, wheelchair access and bike racks. They make a continuous loop along Main Street and run Thursday through Sunday. Look for the trolley stop signs and track your ride by using the free Trolley Tracker app. Have a car? Park for free at Greenville County Square and ride the trolley to your downtown destination. And the best part? They’re free to ride! Welcome to Bikeville. That’s Greenville’s bike-friendly community initiative, which has created a series of cycle-friendly experiences around town. Need a bike? Look for the 10 B-Cycle stations around town and borrow one; one-day membership costs $5. Need to get through town? Use the state’s very first on-street protected bike lane; completed in 2017, it runs along Broad Street between Main and Spring. Need to cruise? Pedal to the 21-mile Swamp Rabbit Trail along the Reedy River, which uses greenways and abandoned rail lines to connect downtown with various Greenville neighborhoods. The BMW Performance Center features 1.7 combined miles of paved track where visitors can learn performance driving skills from experts and take some of the sexiest and zippiest cars in the world for a spin. The one-day driving school ($849) uses a wet skid pad to teach you how to regain control of your vehicle, as well as panic braking and understanding stability. And your classrooms are top-of-the-line Beemers, like the 650i and the X5. There are driving courses geared toward teens, too, as well as a stunt driving school that uses BMW Minis. Located about 15 miles northeast of Greenville, this location features a gift shop and outdoor bistro and serves as a delivery center for brand-new BMW cars. Turns out that the Swamp Rabbit Trail is an active geocaching site. The outdoor treasure hunt game takes place all over the world, with players using GPS-enabled devices in lieu of maps to find hidden boxes, or caches. Inside, an endless possibility of objects and trinkets, which are often themed. There are dozens of geocache locations along or within two-tenths of mile from the Trail -- a unique form of outdoor fun. Greenville’s museums are diverse and well worth a visit, especially since many are free, including the Greenville County Museum of Art and the History Museum of Travelers Rest. And attention, music buffs: the brand-new Carolina Music Museum opens March 27 and will feature everything from historic harpsichords to hands-on exhibits to intimate performance venues. One of Greenville’s best art showcases will keep you outdoors: The city streets feature more than 70 pieces of original public art, meant to be enjoyed as you stroll and at no cost. Among the artworks peppered throughout the city: the striking, 8-foot Rose Crystal Tower at Falls Park and sculptor Doug Young’s life-size statue of baseball great, and native son, Shoeless Joe Jackson. Nobody goes thirsty in Greenville. The burgeoning craft brewery scene allows beer fans to discover world-class ale right where it’s made, including Thomas Creek Brewery, Quest Brewing, Brewery 85, Swamp Rabbit Brewery and Upstate Craft Beer Co. The Birds Fly South Ale Project gets lots of buzz for its saisons and sour beers; on select weekends throughout the year, they host Cellar Sundays, where small groups are offered intimate tours, tastings and one-on-one mingling with the brewers. A wine fan? City Scape Winery, just a few minutes from downtown, offers tastings every Thursday through Sunday; while Victoria Valley Vineyards, located 25 miles northwest of Greenville in a lush upcountry setting, provides tastings, tours and a gourmet café. Visit Dark Corner Distillery downtown for sips of whiskey, gin and premium moonshine. The South Carolina Botanical Garden is one of Greenville’s greatest green spaces. This 295-acre oasis features thousands of varieties of ornamental plants, as well as a geology museum, arboretum and collection of nature-based sculptures. The Children’s Garden is a beautiful open-air play area that features mysterious trails and whimsical displays that change with the seasons. The Garden is free to visit and open year-round from dawn to dusk. Located less than a mile from downtown – a residential stretch defined by gorgeous antebellum homes – you’ll find Augusta Road. Locals call it “The 05,” a reference to the zip code that defines this historic and prestigious shopping district. You’ll find a bevy of unique specialty shops: Muse Shoe Studio, The Rock House Antiques and Bernhardt House of Violins. Hungry? Visit the New York Butcher Shoppe, Legrand Bakery or the classic Pickwick Pharmacy & Soda Fountain. You’ll find several lovely parks in The 05, too. Gabe Saglie is Senior Editor for Travelzoo, which features exclusive deals in Greenville. 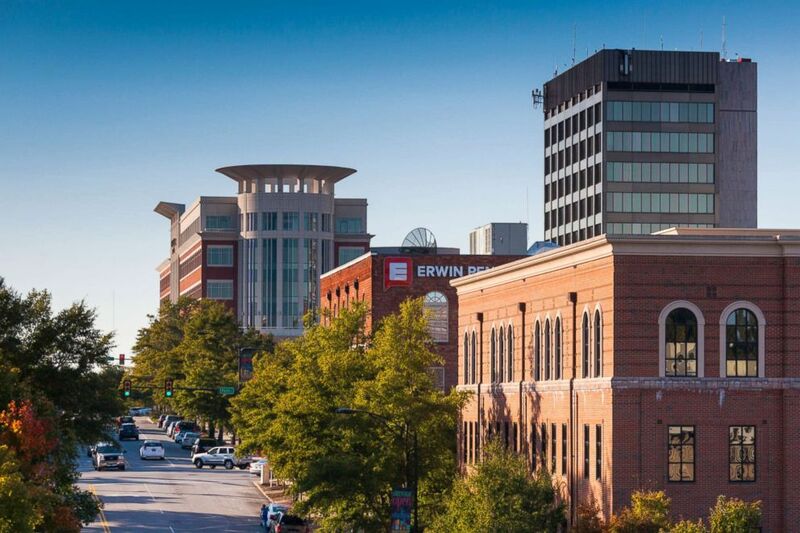 Got your own favorite Greenville experience? Let him know on Twitter or Instagram: @gabesaglie.